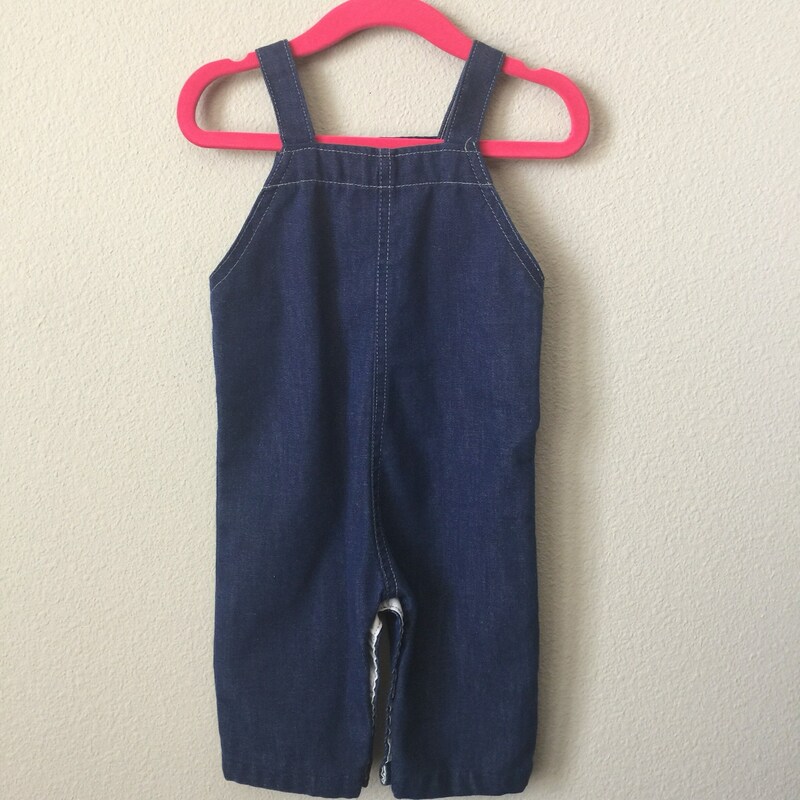 Classic toddler vintage denim overalls. 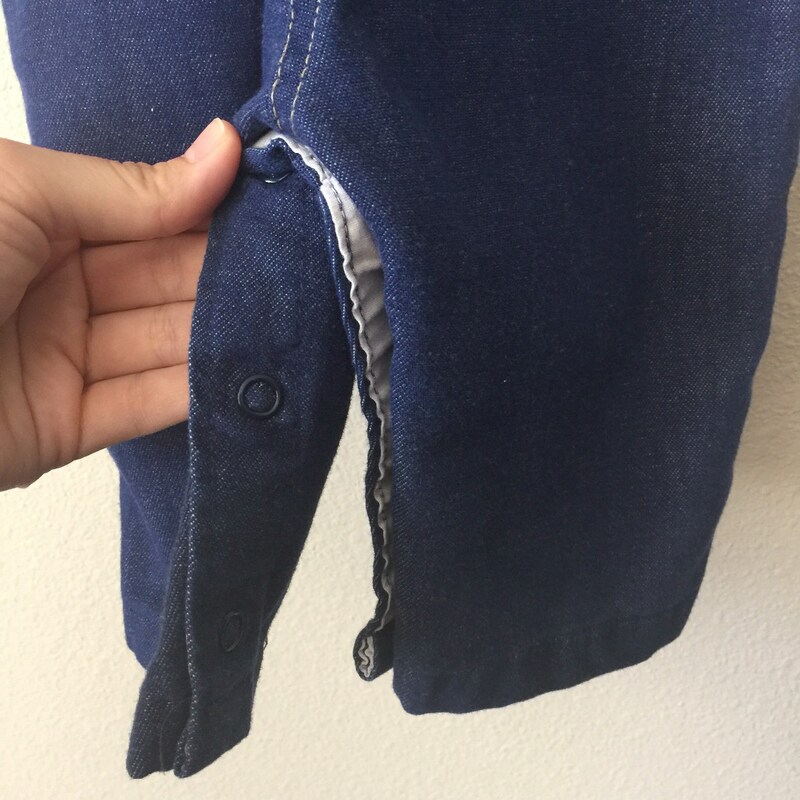 Dark denim features snap bottom for easy changing. 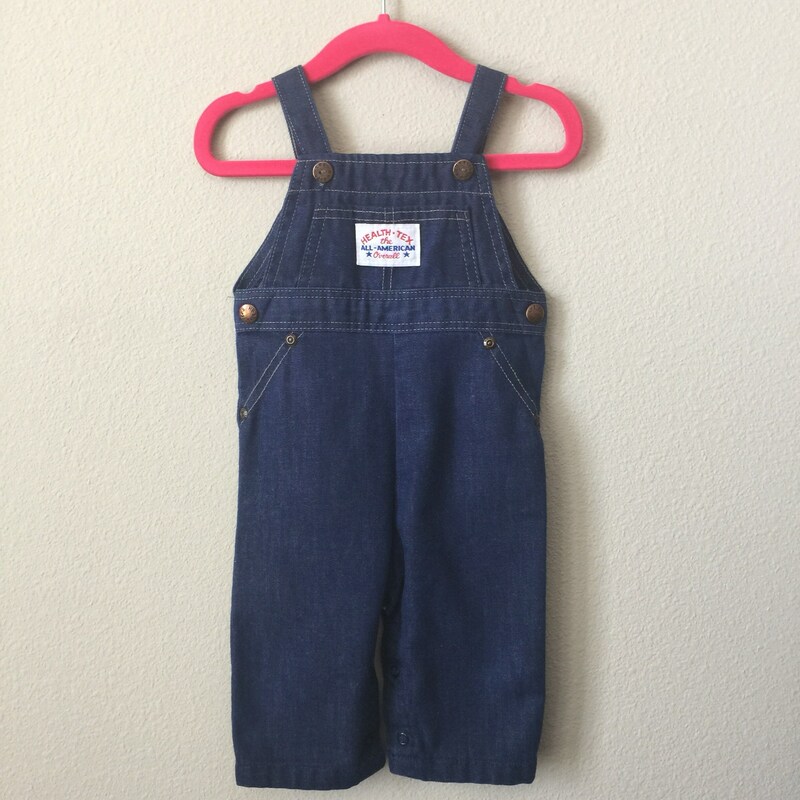 Size 9 months (vintage sizing).